“An After-Dinner Episode”, Puck (New York), 3 December 1890, artwork by Syd. B. Griffin. Caitlyn Lehmann BA (Hons) MA PhD is a cultural historian specialising in the reception and development of ballet during late 18th and early 19th centuries. She has a particular interest in the history of ballet in Britain, but undertakes research covering various aspects and periods of ballet as required. Caitlyn writes regularly for The Australian Ballet, contributing specialist research-based programme articles and online content. She has also written for dance magazines including Dance Australia, and is Australian dance critic for the UK’s Dancing Times. Also affiliated with the University of Melbourne’s School of Culture and Communication (SCC) (Faculty of Arts), Caitlyn maintains active interests in the fields of eighteenth-century and romantic studies. She is currently employed within the SCC as a Research Assistant, working alongside Professor Clara Tuite, and has previously been contracted to provide PhD supervision. Caitlyn completed her doctorate on ‘Fashionable Society, Ballet and the King’s Theatre, 1770-1800’ at the University of Melbourne in 2012. She was a (minor!) research contributor to the 2015 BBC documentary The King Who Invented Ballet. In March 2017 she curated her first exhibition of historical dance prints, titled ‘From Court to Kitsch: Images of Ballet from the 17th to 20th Century‘. In 2019 Caitlyn will be guest speaker for Theatre Heritage Australia’s June meeting at the Melbourne Arts Centre (all welcome). ‘Forgotten Women Choreographers,’ Dance Australia, Issue 221, April-May 2019. ‘The Man Behind the Myth,’ Spartacus programme for the Australian Ballet, 2018. ‘Spartacus in Australia,’ [interview article with Lucas Jervies], Dancing Times, September 2018. ‘Layers of Giselle,’ Giselle programme for the Australian Ballet, 2018. ‘The Rise of the Choreographer,’ Balletomane [The Australian Ballet subscriber magazine], Issue 11, 2018. 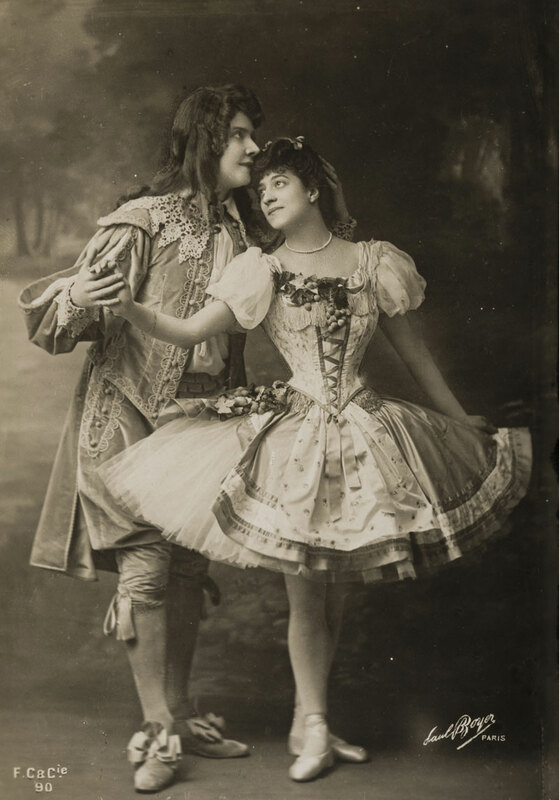 ‘The Belle Epoque Dance Scene,’ Behind Ballet [blog], April 2018. ‘A Fine Line: The risky business of ballet in gaslit theatres,’ Balletomane [The Australian Ballet subscriber magazine], Issue 10, 2018. ‘Enough About Lessons,’ Alice’s Adventures in Wonderland programme for the Australian Ballet, 2017. ‘The Taglioni of Horsewomen,’ Dancing Times, December 2016. ‘Madly, Truly,’ Nijinsky programme for the Australian Ballet, 2016. ‘Dancing in Drag,’ Coppelia programme for The Australian Ballet, 2016. ‘Learning from Beauty’ [interview article with David McAllister], Dancing Times, August 2015. 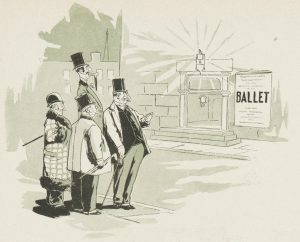 ‘A Short History of Ballet,’ The Australian Ballet, online resource, 2015. ‘Maina Gielgud’s Giselle: A Pedigree,’ Giselle programme for The Australian Ballet, 2015. ‘Risky Dancing,’ Behind Ballet [blog], July 2015. ‘An Imperial Education,‘ Imperial Suite [Ballet Imperial] progamme for The Australian Ballet, 2014. ‘A Bayadere in Paris,’ La Bayadere programme for The Australian Ballet, 2014. ‘Fallen Women,’ Manon programme for The Australian Ballet, 2014. ‘The sweets of The Nutcracker,’ Behind Ballet [blog], October 2014. ‘The Nutcracker Doll: A History,’ Behind Ballet [blog], August 2014. ‘La Syl-fever,’ La Sylphide programme for The Australian Ballet, 2013. ‘Dancing in the Grave,’ Behind Ballet [blog], October 2013. 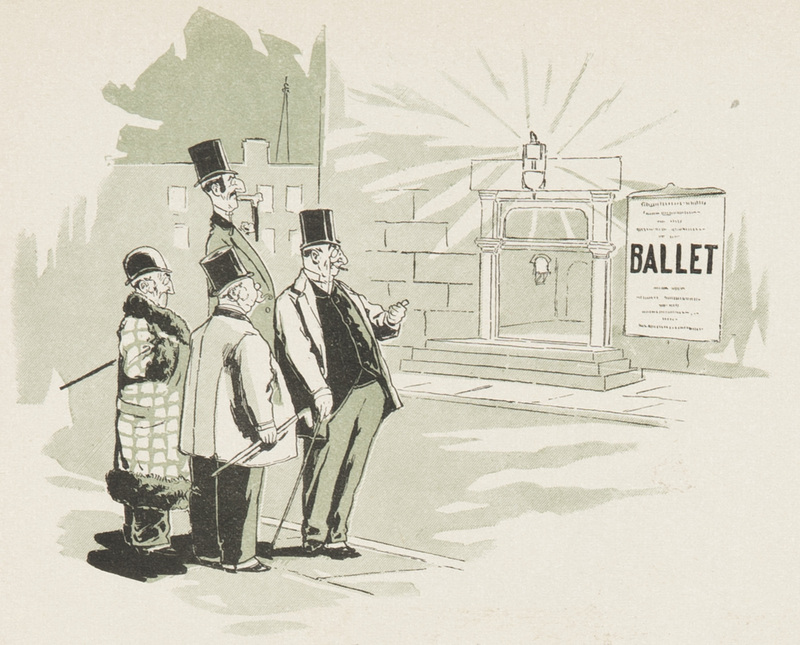 ‘The Wonderful World of Ballet Stamps,’ Behind Ballet [blog], March 2013. ‘From the Shelf: The Ballet Goer’s Guide,” Behind Ballet [blog], January 2013. Arty Facts, a series of 6 short articles supplied for each issue of Dance Australia during 2011. ‘Ballet Backlash,’ Dance Australia, Apr/May 2010: 36-40. ‘Representing Baccelli,’ Dance Chronicle 31, no. 1 (2008): 84-87. 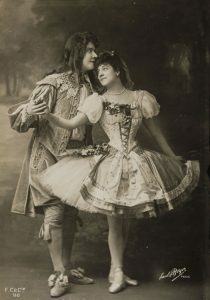 Carlotta Zambelli and Mlle Mante (dressed in travesti) for Les Ronde des Saisons, Paris Opera Ballet, c.1905. ‘Ravishing! Dance in Belle Epoque Paris, 1885-1909,’ Bastille Day French Festival, Meat Market, Melbourne, 14 July 2018. ‘Sylphs and Spiders: The Balletic Entanglements of Lola Montez,’ Castlemaine Historical Society, August 2017.